Wooow your brows!A professional set to form the eyebrows because all woman need to shape the eyebrows. The Practical mirror-box composed of two eyebrow-powders, a small tweezers and a two-side applicator with two different brushes. 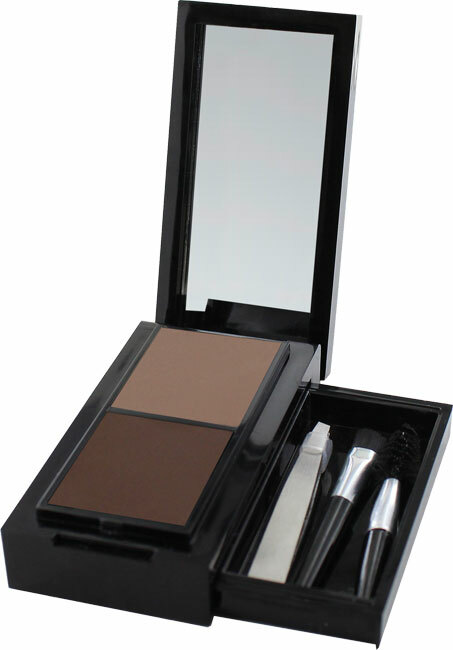 Easy to use for professionales as well as for first-time user and suitable for every colour of eyebrows. Application: 3 steps to the perfect eyebrows: 1 - pluck the brows with the tweezers 2 – comb the eyebrows 3 -apply desired color with the brush. Natracare Organic 100% Cotton Pads (Regular with Wings) - 14 pcs. Natracare Organic 100% Cotton Pads Maxi (Super) - 12 pcs.